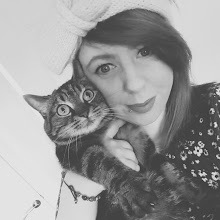 This week I had been sat watching Bethesda's twitch stream waiting for an announcement and finally they made it, I was starting to think weweres being trolled or that they were going to male us wait even longer but lucky for us they didn't, I'm late to the Fallout games, but the first one I played was New Vegas back when my sister's used to play it, I wasn't that great at games and was awful at Fallout but since then my love for Fallout has grown, I know not everyone is a fan of Fallout 4 and they feel that the franchise was ruined by it but I loved it, dogmeat has to be my favourite aspect of the game even if he did get me killed a lot (forever stepping on those landmines). 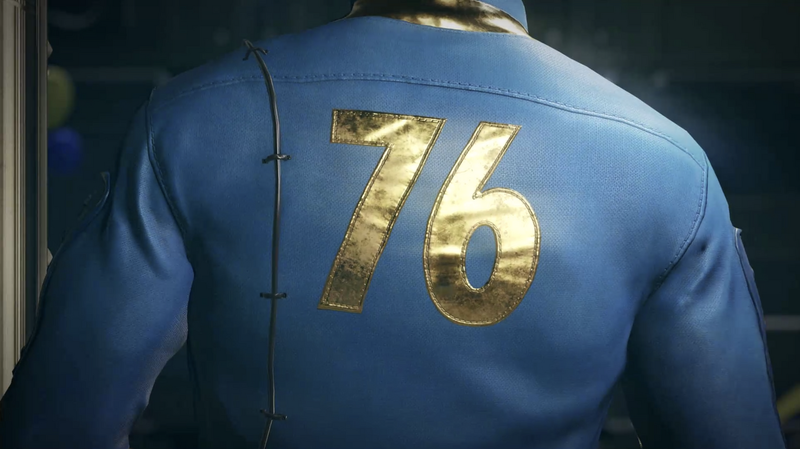 Fallout 76 isn't something new, in fact, it's mentioned in some of the other games and what we do know about it is Fault 76 was a control vault which meant it wasn't for testing but instead it was used as a baseline, it housed 500 people and was programmed to open 20 years after the nuclear war and was due to open in 2097 which is over 60 years before the first Fallout takes place which means we may be seeing the events that happened before life in 2167 in southern California. 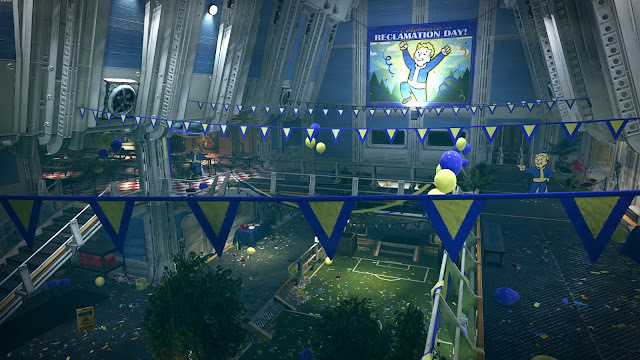 From the look of the Fallout 76 trailer, the party is over and the vault seems very empty, I wonder if something went wrong or when the vault opened they all left quickly.